Hi guys! 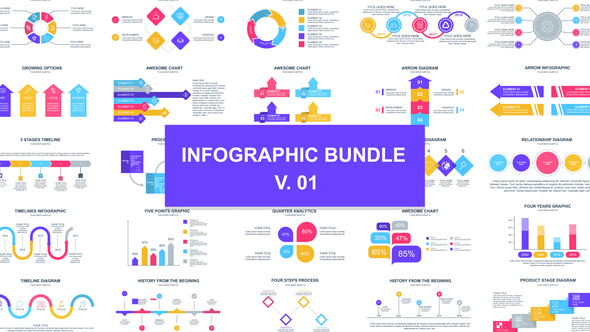 Infographics Bundle contains more than 150 infographic elements and scenes. Every month we will add 50 additional scenes. This project will help you to create your own video, explainer, presentation, business infographic and etc. All scenes are ready to use.